Atlanta Hawks There are 102 products. Your die-hard Atlanta Hawks dedication cannot be beat! Let everyone know your pride is #1 by sporting Women's Malcolm Delaney Atlanta Hawks Ash Backer T-Shirt for game day. Sporting this truly unique look to the next game will definitely mark you has a huge fan! Your die-hard Atlanta Hawks dedication cannot be beat! Let everyone know your pride is #1 by sporting Women's DeAndre' Bembry Atlanta Hawks Ash Backer T-Shirt for game day. Sporting this truly unique look to the next game will definitely mark you has a huge fan! Your die-hard Atlanta Hawks dedication cannot be beat! Let everyone know your pride is #1 by sporting Women's Kent Bazemore Atlanta Hawks Ash Backer T-Shirt for game day. Sporting this truly unique look to the next game will definitely mark you has a huge fan! Your die-hard Atlanta Hawks dedication cannot be beat! Let everyone know your pride is #1 by sporting Women's Miles Plumlee Atlanta Hawks Ash Backer T-Shirt for game day. Sporting this truly unique look to the next game will definitely mark you has a huge fan! Your die-hard Atlanta Hawks dedication cannot be beat! Let everyone know your pride is #1 by sporting Women's Taurean Prince Atlanta Hawks Ash Backer T-Shirt for game day. Sporting this truly unique look to the next game will definitely mark you has a huge fan! Your die-hard Atlanta Hawks dedication cannot be beat! Let everyone know your pride is #1 by sporting Women's Tyler Dorsey Atlanta Hawks Ash Backer T-Shirt for game day. Sporting this truly unique look to the next game will definitely mark you has a huge fan! Your die-hard Atlanta Hawks dedication cannot be beat! 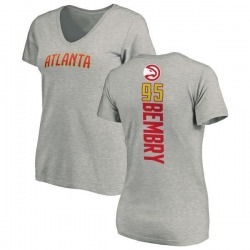 Let everyone know your pride is #1 by sporting Women's DeAndre' Bembry Atlanta Hawks Red Backer T-Shirt for game day. Sporting this truly unique look to the next game will definitely mark you has a huge fan! Your die-hard Atlanta Hawks dedication cannot be beat! Let everyone know your pride is #1 by sporting Women's Kent Bazemore Atlanta Hawks Red Backer T-Shirt for game day. Sporting this truly unique look to the next game will definitely mark you has a huge fan! Your die-hard Atlanta Hawks dedication cannot be beat! 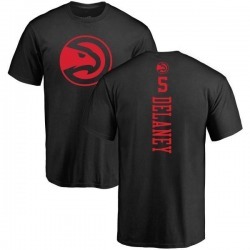 Let everyone know your pride is #1 by sporting Women's Malcolm Delaney Atlanta Hawks Red Backer T-Shirt for game day. Sporting this truly unique look to the next game will definitely mark you has a huge fan! Your die-hard Atlanta Hawks dedication cannot be beat! Let everyone know your pride is #1 by sporting Women's Miles Plumlee Atlanta Hawks Red Backer T-Shirt for game day. Sporting this truly unique look to the next game will definitely mark you has a huge fan! Your die-hard Atlanta Hawks dedication cannot be beat! 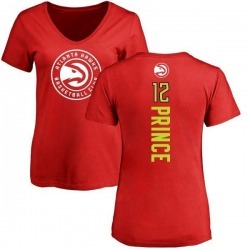 Let everyone know your pride is #1 by sporting Women's Taurean Prince Atlanta Hawks Red Backer T-Shirt for game day. Sporting this truly unique look to the next game will definitely mark you has a huge fan!